Ultra4 Team 602 We are as grass roots as it gets for a race team. Team 602 consists of me, my friends, and neighbors. My name is Airen Patrick and I am a self-employed air conditioning contractor, and I am the owner/driver. My team consists of Tim Handrick, my crew chief/engine builder. 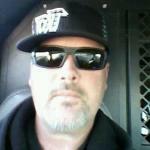 He is the shop manager for Banker Insulation and an ASE certified Master Mechanic and one of the best I have ever known. Anton Finnman upfits emergency vehicles for a living and handles all of the electrical on the car. Jeff Legge is a master fabricator, and when it comes to making custom parts, he is a miracle worker. Robert Croy is my co-driver/navigator and always keeps me on course. Charlie Vacha is our 71 year old rock crawler he has several buggies he uses and I spot for him in the We Rock series. We feel people can relate to us because we built this car out of my home garage. 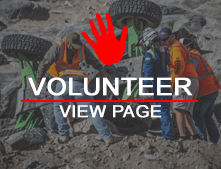 We do not have a large budget, but as you read our bio you will learn how dedicated we are in preparing the car in order to become a serious contender in the Ultra4 racing circuit as well as WE Rock, and Dirt Riot. Our goal this year was to qualify for the 2014 King of the Hammers, the toughest one-day, off-road race in the world. We have reached that goal with the support of friends and family, and we are now reaching out to you for your support.